Free chart examples and templates are available for commercial and personal use. 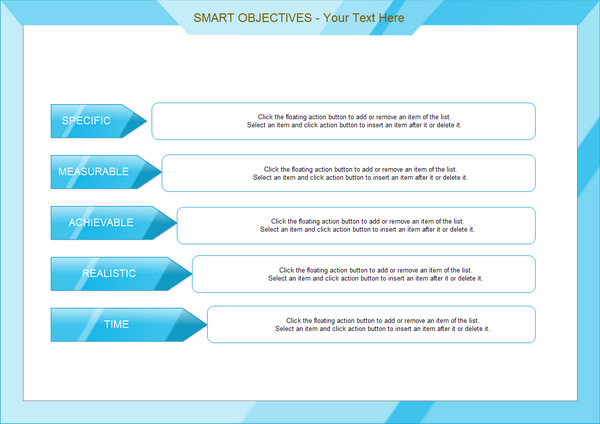 The following example elaborates a smart objectives in five steps. Please click here to free download Edraw Charting Software. Then you can use the built-in templates to create and present charts quite rapidly.